Get Dead is a great band that does great live shows. I think I’ve listened to their first acoustic release about a million times. 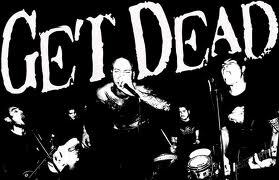 Fat Wreck Chords has signed Get Dead from San Francisco, CA. The largely acoustic band has a bunch of music on Bandcamp and are currently at Motor Cities working on their debut for a summer release. You can also find more about the band on their Facebook Profile..